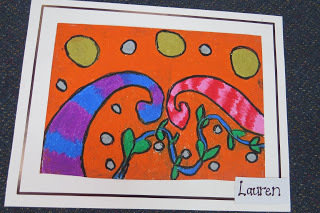 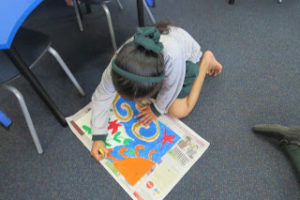 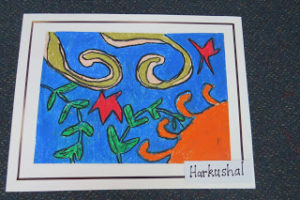 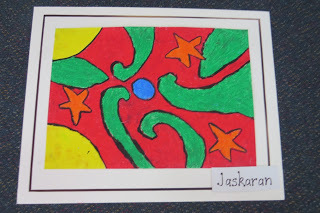 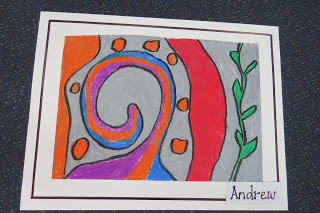 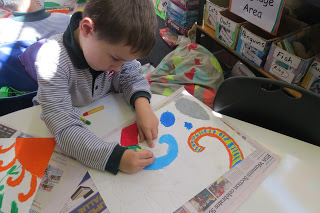 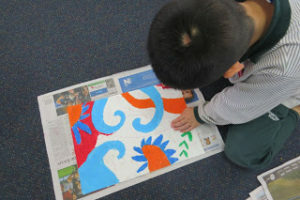 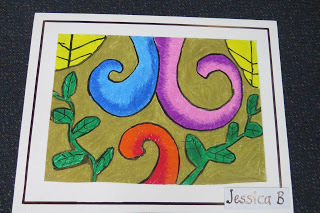 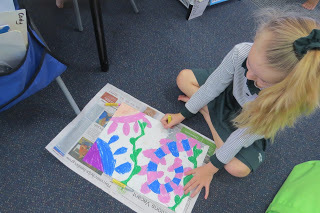 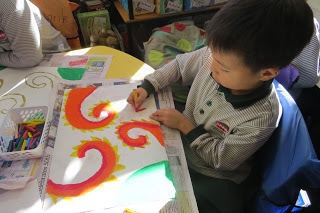 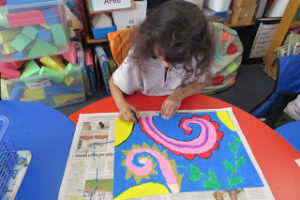 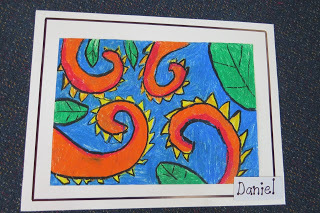 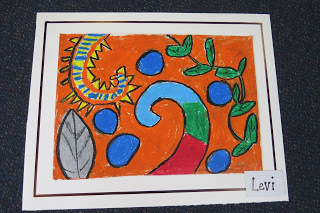 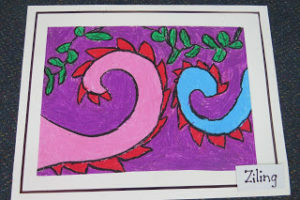 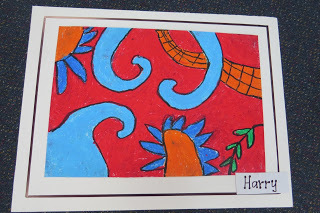 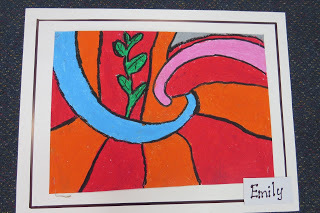 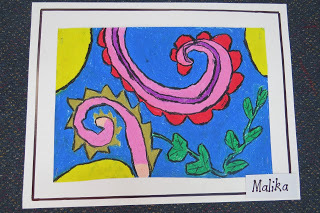 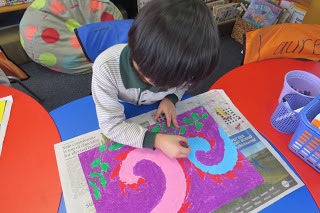 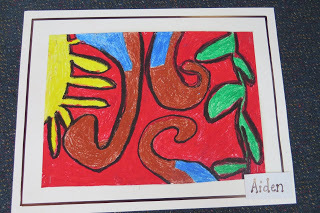 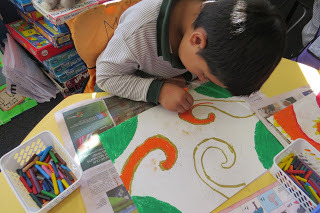 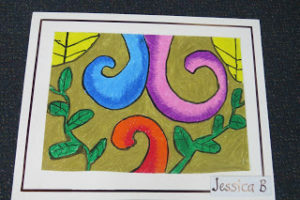 In Room 4 we had lots of fun focusing on the koru. 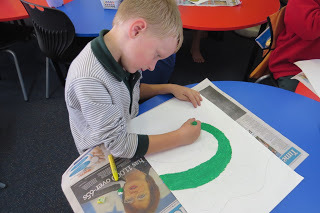 First we looked at different koru shapes on our ActivBoard and discussed them in detail. 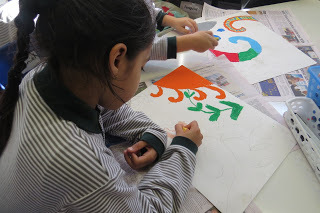 Then we worked on designing many pencil sketches of koru shapes and added other patterns to the designs. 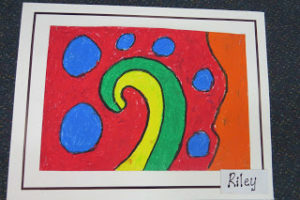 After that the children selected their favourite design and this was transferred onto a larger piece of paper. 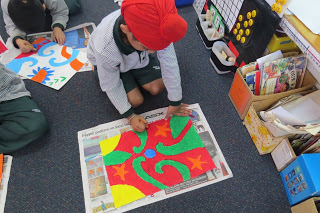 We discussed the colour wheel, showing cool and hot colours, primary colours and complimentary colours. 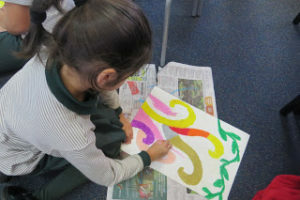 Then the children used pastel to create their work. 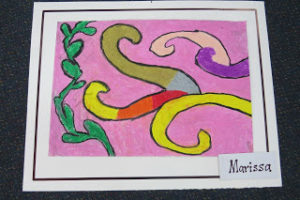 They worked on the background and then went over with a black pastel.